January 13, 2016 marked a milestone in the country's bid to develop its space program with DIWATA, the first all-Filipino assembled microsatellite. DIWATA was turned over to the Japan Aerospace Exploration Agency (JAXA) to prepare its launch to space in April. With DIWATA, comes the Filipino dream to have its own Philippine Space Agency. Recognizing the advantages of using satellite-based remote sensing, the government invested in the construction and launching of the Philippine Scientific Earth Observation Micro-Satellite, under the PHL-MICROSAT or DIWATA Program with a total budget of P800 million for 3 years. 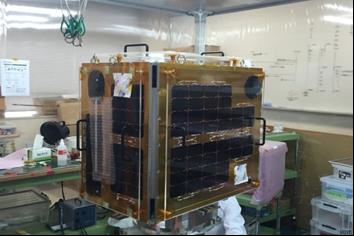 DIWATA is the country's first micro-satellite designed, developed and assembled by Filipino researchers and engineers under the guidance of Japanese experts in Hokkaido and Tohoku Universities. It is geared to provide real-time images for disaster risk management and other applications. 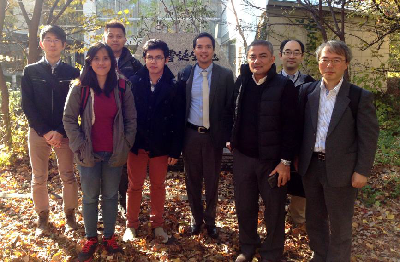 Seven (7) engineering students from the University of the Philippines and two (2) science researchers from DOST's Advanced Science and Technology Institute (DOST-ASTI) were sent to Tohoku and Hokkaido universities in Japan as part of the PHL-MICROSAT program to work on the microsatellite bus system and payload design while pursuing advanced degrees. The Bus Development Team worked on the design, implementation and testing of various structural, mechanical and electrical aspects of the microsatellite bus. The electrical subsystems, in particular, include the power supply, computing and communication blocks, software programming, attitude control and the science payload interface or handling unit. 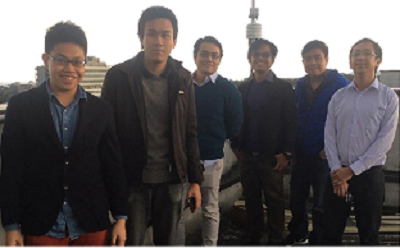 The Tohoku Team: (from left) Julian Marvick Oliveros, Ariston N. Gonzales, Brian Paler Brian Paler DOST-ASTI (ASTI), John Leur Labrador, Gerwin Guba Gerwin Guba DOST-ASTI (ASTI) and Juan Paolo Espiritu. The Hokkaido Team: (from left) Japanese expert Mr. Tetsuro Ishida, UP Engineering students Kaye Kristine Vergel, Delburg Mitchao, Benjamin Magallon. Also in photo are Dr. Carlos Primo C. David , Executive Director, PCIEERD, the DOST monitoring agency of the Microsat Project, Dr. Joel Joseph S. Marciano, PHL-MICROSAT Program Leader, PHL-Microsat Program, and also Japanese consultants Prof. Yukihiro Takahashi and and Dr. Junichi Kurihara. 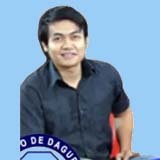 Within the 3-year program is the development of the second microsatellite or DIWATA 2 to be launched in 2017.The PHL-MICROSAT team also intends to develop course and training materials on small satellite technology design and testing, which are proposed to be incorporated into science and engineering undergraduate and postgraduate elective courses as well as for local industry short seminars. A microsatellite simulator and testbed, antenna design and testing facility and amateur radio satellite station are also currently being set up as part of the establishment of the local Microsatellite Research and Instructional facility within UP Diliman. For the rest of the PHL-MICROSAT team working at UP Diliman, continuing activities are focused on the development of the Ground Receiving Station (GRS) that will allow space borne images to be transmitted to earth for use in various scientific and civilianapplications. It can also be used to control and transmit commands from the ground to the microsatellite to carry out is mission effectively. DIWATA-1 is a low earth orbit (LEO) satellite set to fly 400km above the earth. It serves as a training platform and pave the way for the Filipino team to further develop their skills in space technology. But more than this, the potential uses of Diwata's images include improved weather detection and forecasts, disaster risk management, detecting agricultural growth patterns, monitoring of the forest cover, mining, protection of cultural and historical sites, and the territorial borders of the Philippines Through its sensor, Diwata will be sending vital images and data back to Philippine Earth Data Resources and Observation (PEDRO) Center which was set up to receive data from the satellite. 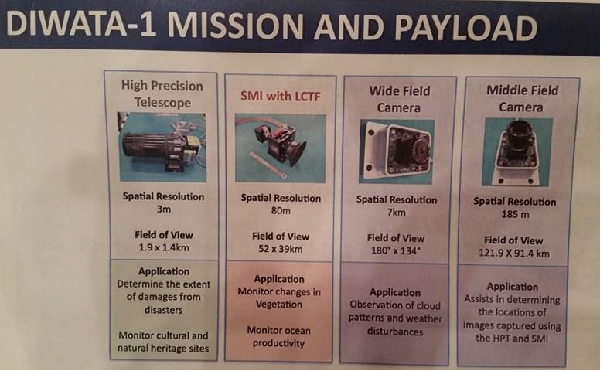 DIWATA 1 is equipped with a High Precision Telescope (HPT) that can determine the extent of damages from disasters, like typhoons and volcanic eruptions. 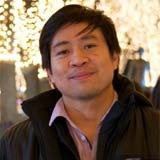 It can also monitor changes in cultural and natural heritage sites, like the Mount Apo or Mayon Volcano. Its Spaceborne Multispectral Imager with LCTF will be able to monitor changes in vegetation and monitor oceans productivity. It also carries a Wide Field Camera that will help scientists and weather forecasters tp better observe cloud patterns and more accurately predict weather disturbances. Its Middle Field Camera assists in determining the locations of images captured using the HPT and SMI.